Both mother and baby are reportedly in good health. 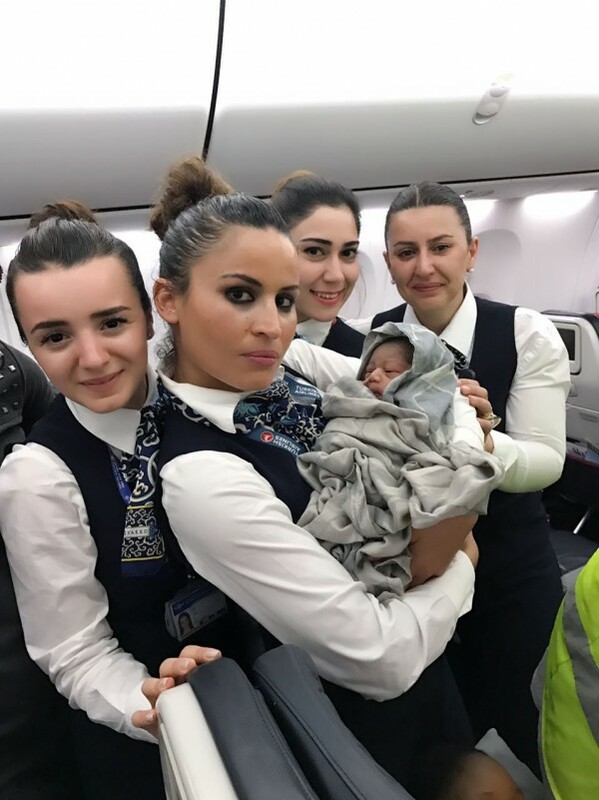 A plane landed with an extra passenger on board after a mother unexpectedly went into labour mid-flight. 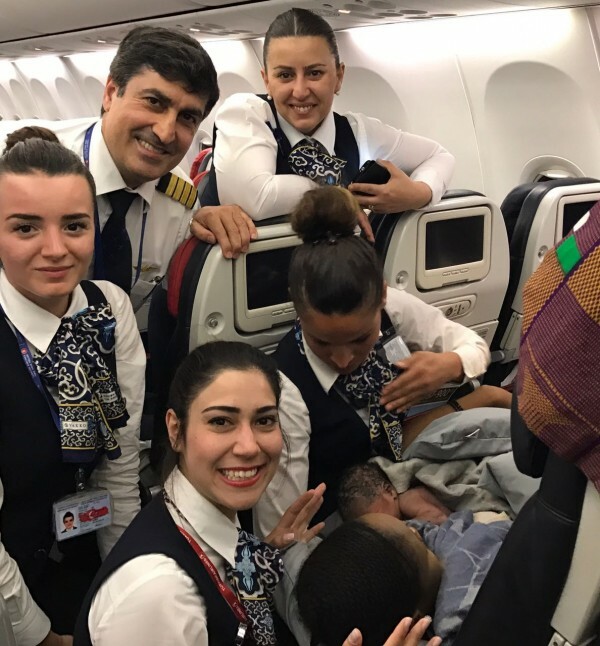 Turkish Airlines cabin crew along with some passengers helped deliver a baby girl, named Kadiju, at 42,000ft shortly after take-off from Conakry in Guinea to Istanbul. The baby and her mother were taken to hospital in Ouagadougou, the Burkina Faso capital, after the Boeing 737 airliner landed. Both are reportedly in good health. 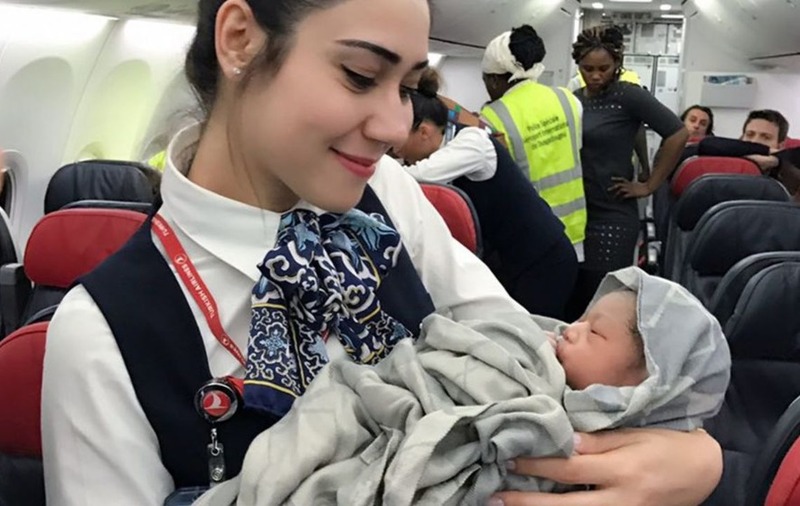 Turkish Airlines said in a statement: “The cabin crew, who saw a woman passenger named Nafi Diaby, 28-week-old pregnant traveller flying with Turkish Airlines' TK538 Conakry (Guinea)-Ouagadougou (Burkina Faso) flight, was suffering child-birth pains, promptly responded to her in order to assist her childbirth during the flight. 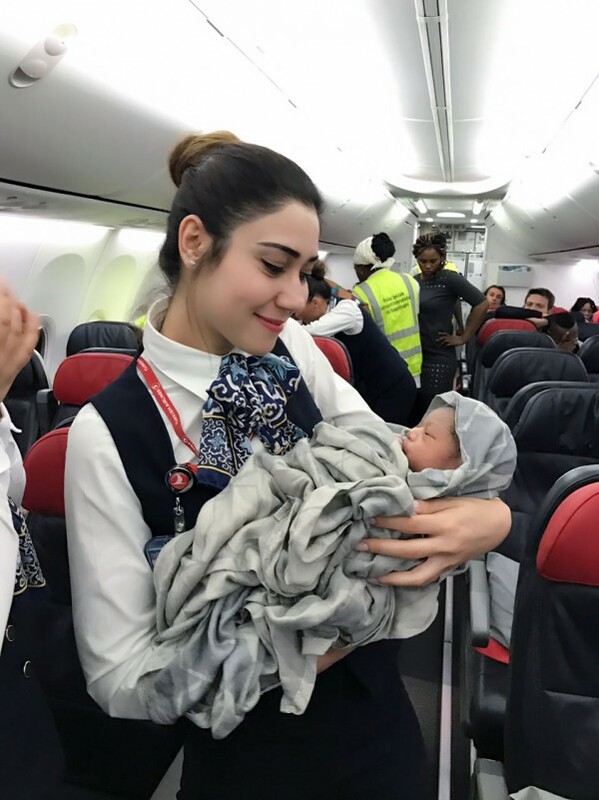 Most airlines allow would-be mothers to travel until they are 36 weeks pregnant, with some requiring a letter from a doctor or a midwife for those who are in their 28th week of pregnancy.